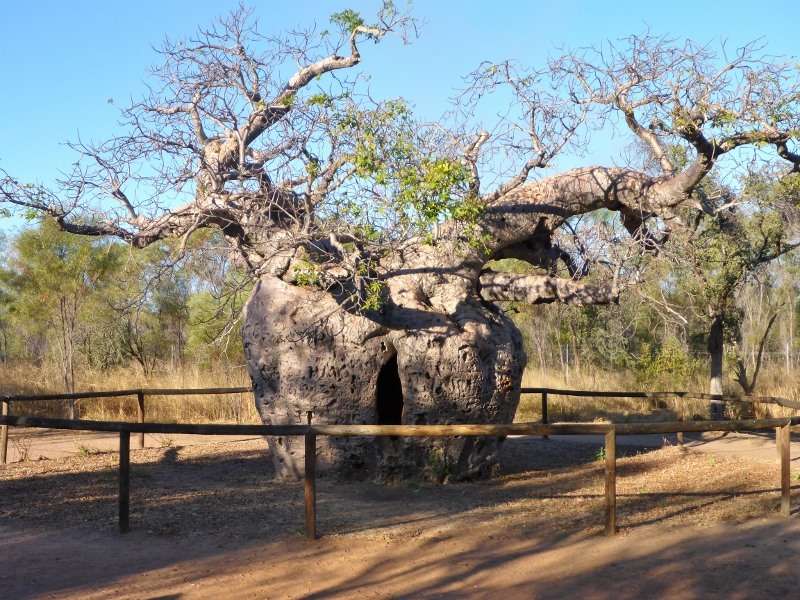 The Boab Tree is an iconic and beautiful tree. It’s the symbol of the Kimberly region of Western Australia. Huge, swollen, bulbous, bottle-like trunks; strange, twisted branches; a stark, poignant look when they drop their leaves over the dry season and a setting of the Australian outback makes these trees one of the most photographed and painted trees. Most outback art galleries in and around the Kimberly region will likely have artistic photos and paintings of these huge majestic trees. Apart from their appearance, they are also useful for bush tucker, a source of water, shelter, and their origins are mysterious in nature, further adding to their allure. I was pretty excited the first time I saw a boab tree. It’s like catching your first barra. 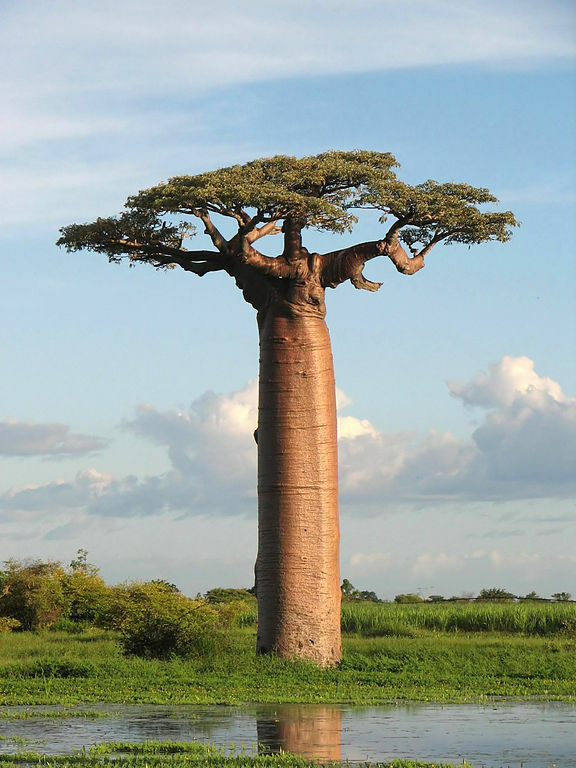 Boab trees are in the Adansonia genus, with 8 species in total. The Australian species is Adansonia Gregorii, named in honour of Augustus Charles Gregory, an English born Australian explorer. Of the other seven species, six are found in Madagascar whilst the other is found in mainland Africa and the Arabian Peninsula. The common name for the genus is baobab. Boab trees are deciduous, losing their leaves over the dry season, which yields the typical leafless depiction of boabs commonly found in art and travel photography. 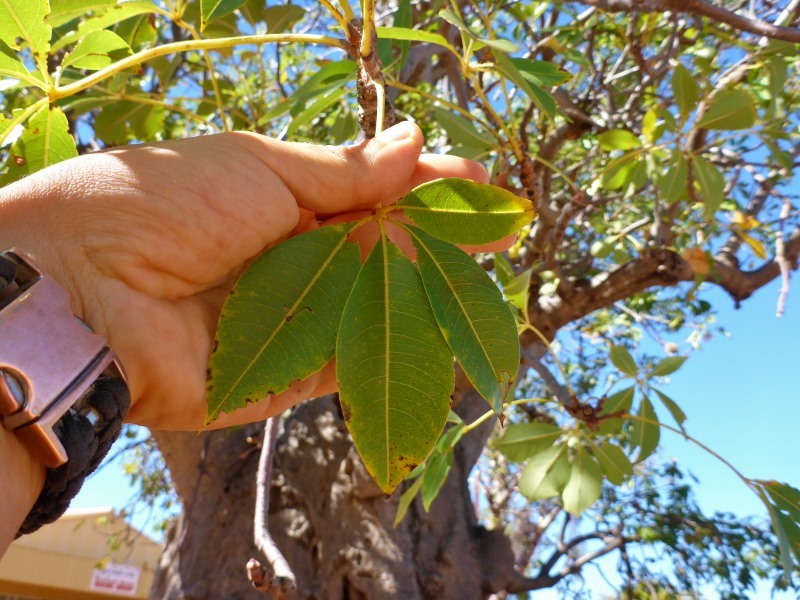 New leaves sprout during the build up to the wet season, whilst flowering and fruiting occurs during the wet season. The fruits are hard shelled, usually referred to as nuts. Within the shell is a white pith, interspersed with very hard seeds. Boab trees are slow growing and long living. It is believed some specimens in Australia are around a couple of thousand years old, whilst it is speculated that some of the other species can live for over 6000 years. 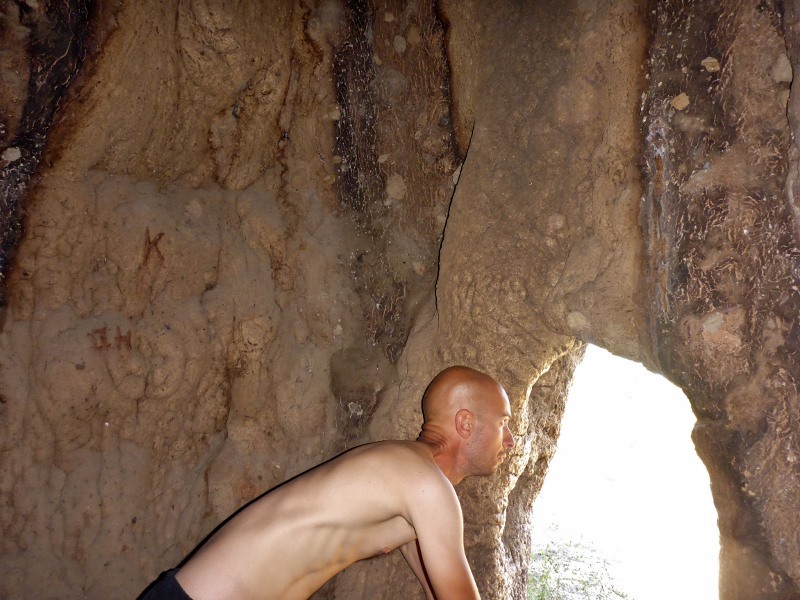 As boabs age they become hollow, using this hollow to store water within the trunk to help endure the harsh drought conditions of the dry season. 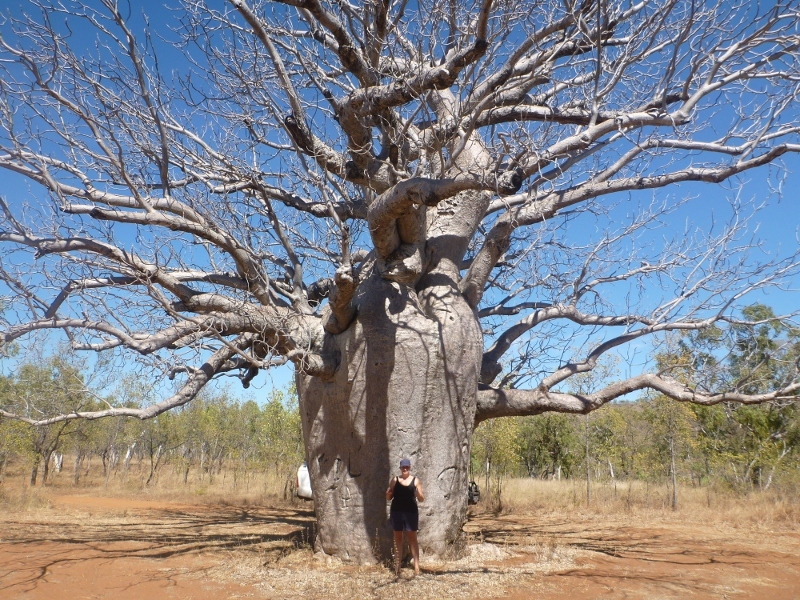 In Australia, boab trees are only found naturally in the Kimberley region, extending to the east slightly into the adjacent western side of the Northern Territory. 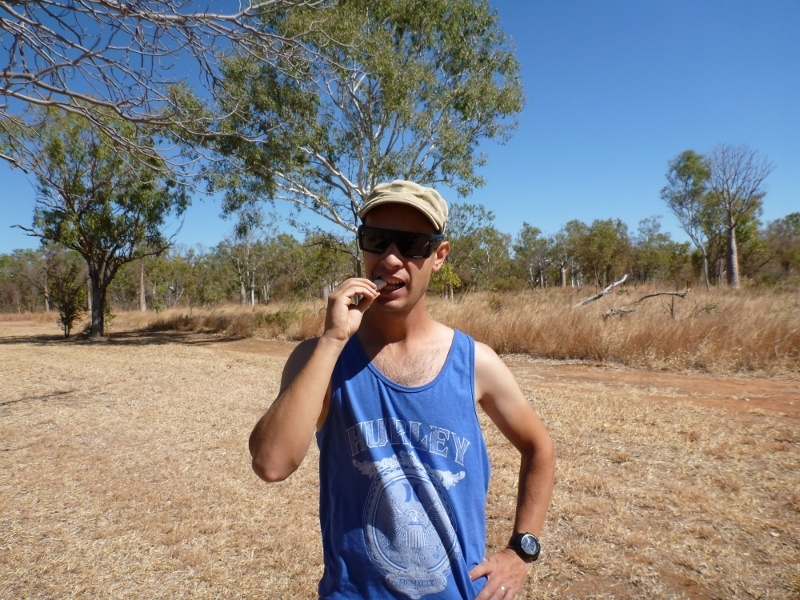 The most common use of the boab tree is as bush tucker. 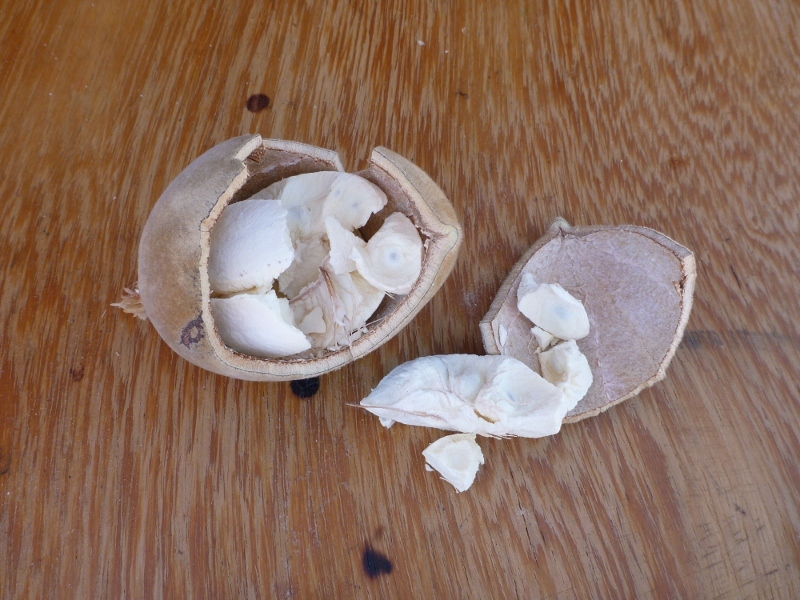 The white pith or husk inside the nut is edible. It has a chalky texture and is sour, the flavour being a combination between lemon, sherbet, powdered milk and with an earthy undertone. The pith is rich in nutrients, minerals, antioxidants and importantly vitamin C. The pith stays good to eat many months after falling from the tree. It can be crushed up and added to water to make a tangy, refreshing drink, or can be added as a thickener for soup. In Africa, pegs are fixed into the trunk of baobab trees to make the tree easy to climb to access the nuts. In Africa it’s much more common to eat boab pith. 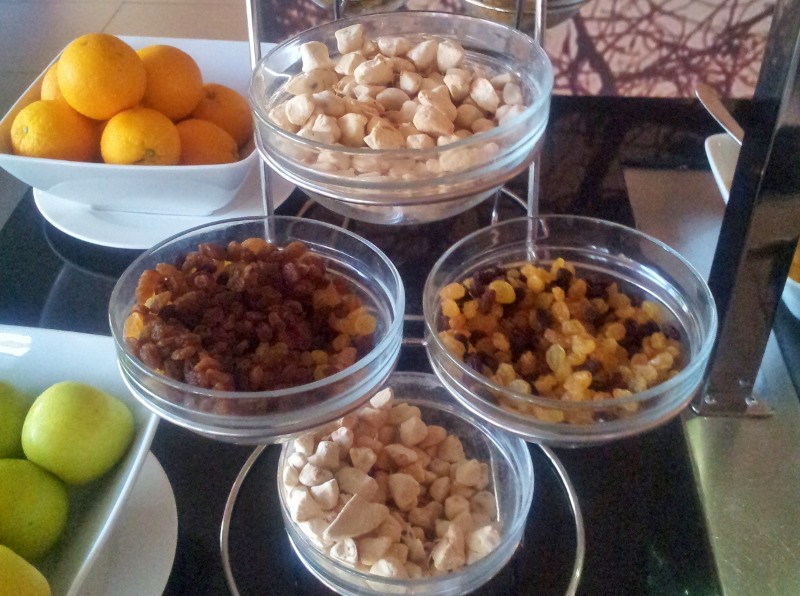 It’s even served at restaurants as seen in this Mozambican hotel! The roots of saplings can also be eaten and have a pleasant crispy texture. More fibrous parts of the roots can be chewed to extract moisture. The young leaves can be used as a leafy vegetable or in salads. Some other uses include using the tree as a source of water, accessing the water stored within the trunk. The tree can be used as shelter (or a jail or pub, see notable examples section). Paintings and engravings can be made onto the hard surface of the nuts or fruit. Each species within the Adansonia genus must have a common ancestor, after which they’ve diverged into separate species. So the question is how did that ancestor ever come to be in the Kimberley region of Western Australia? One theory is the nut simply floated across the Indian Ocean from their source in mainland Africa or Madagascar and washed up on Australian soil. 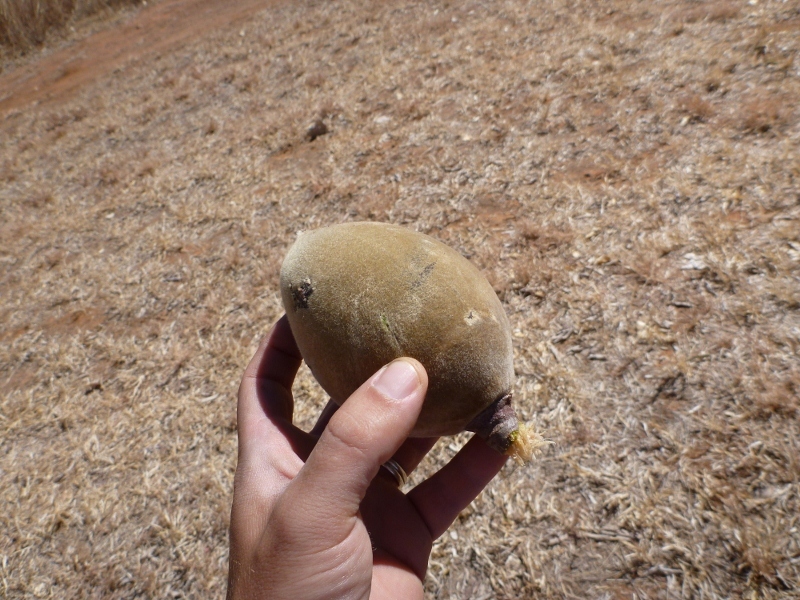 Perhaps one would expect a wider distribution if sea was a common way that boab nuts were propagated, yet the distribution is highly localized. A more interesting theory is that they arrived here by boat from ancient African travellers. 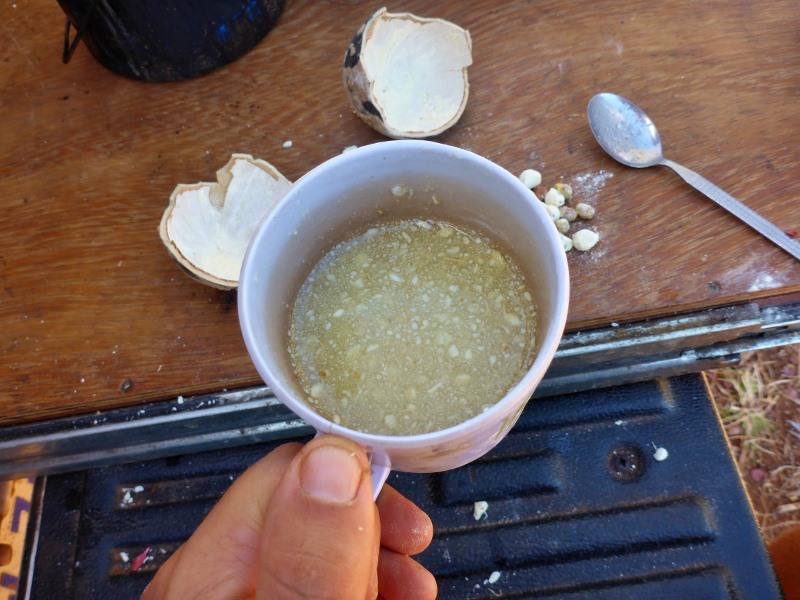 The white pith or husk within boab nuts remains good to eat for many months after picking, so could have been a favourite food for ancient travellers on long term sea voyages, both for its long shelf life and for its ability to prevent scurvy due to high vitamin C content. The distribution of boab trees in Western Australia accurately overlaps the distribution of a mysterious type of rock art – called Bradshaw Paintings. The local Aborigines of the Kimberley region believe their ancestors did not draw the Bradshaw Paintings. They don’t know who drew them. Their rock art is of a completely different style. 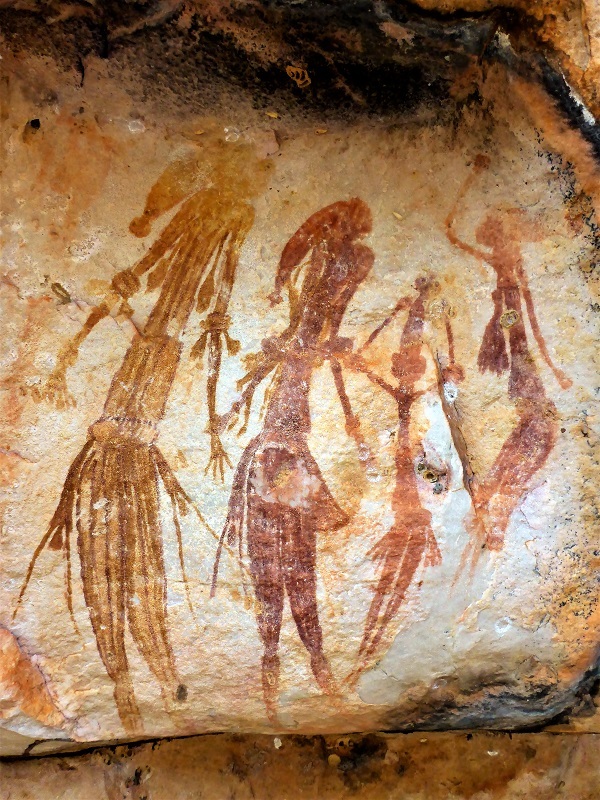 According to Grahame Walsh, an archaeologist and expert on Bradshaw Paintings, the rock art was painted by a race pre-dating the present day Indigenous Australians. Bradshaw rock paintings on the Mitchell Plateau, Kimberley Region. The Bradshaw Paintings resemble rock art found in Africa. They also resemble rock art found in more developed civilizations where agriculture was practised. Certain details on the paintings can be interpreted as being indicative of a more advanced civilization than that of the Aboriginal People of the area. Perhaps there was an ancient civilization once living in the region, originating from Africa or Madagascar, who travelled to the Kimberley coast, possibly by accident on their way to Indonesia, and brought with them the boab tree. The lack of artefacts could be a result of the extreme age of the civilization, many times older than for example the Ancient Egyptians and the pyramids. 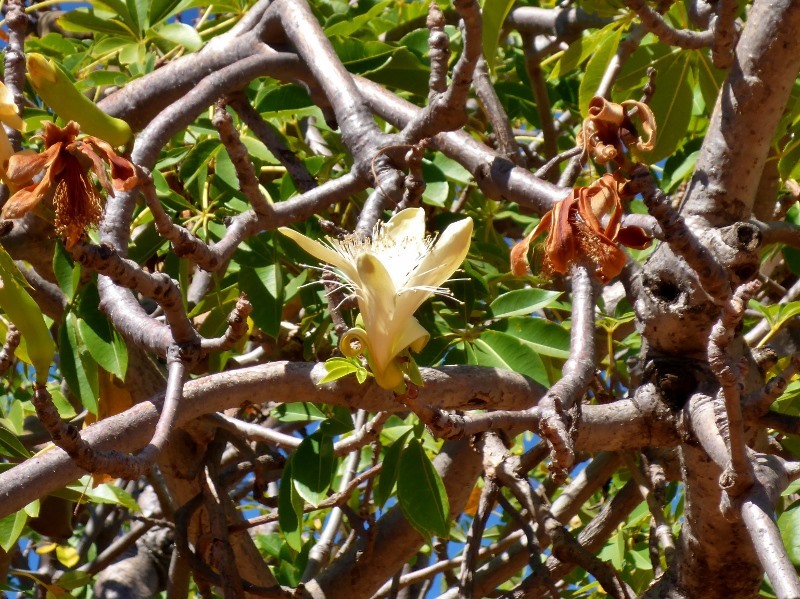 One further piece of evidence that supports this theory is that the creation myth for boab trees is very similar between the natives of Madagascar and the Indigenous people of Australia. Both believe that some sort of creator or spirit uprooted the tree and re-planted it upside down as punishment for the tree being so arrogant about having the best branches and foliage of any tree. Thus became it’s twisted, deformed, leafless branches – they were once the roots. It’s an interesting theory. Not sure if it’s plausible, but interesting nonetheless! 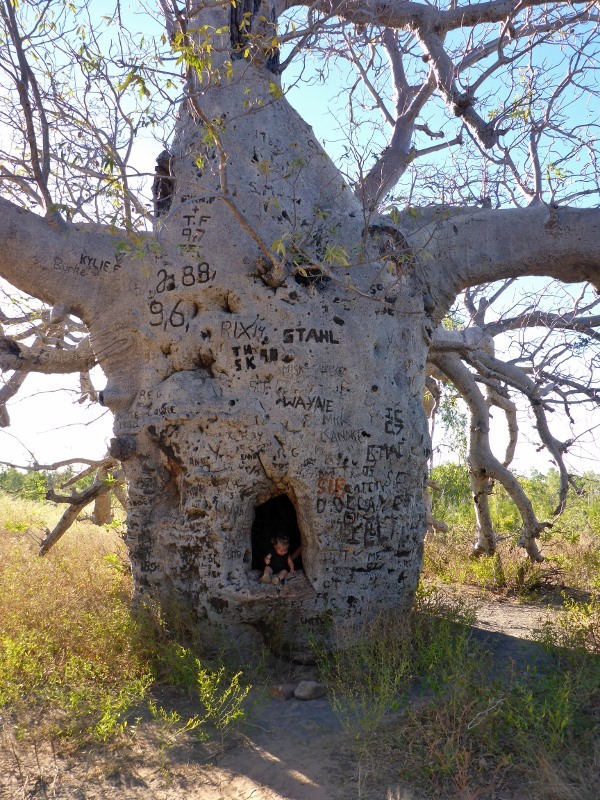 Prison tree, Derby: Located 7km south of Derby is a large boab tree around 14m in circumference that in the 1890s was used as a lockup for Aboriginal prisoners on their way to Derby for sentencing. Estimated to be 1500 years old. It is now a popular tourist attraction in the Derby region, easily accessed by road. 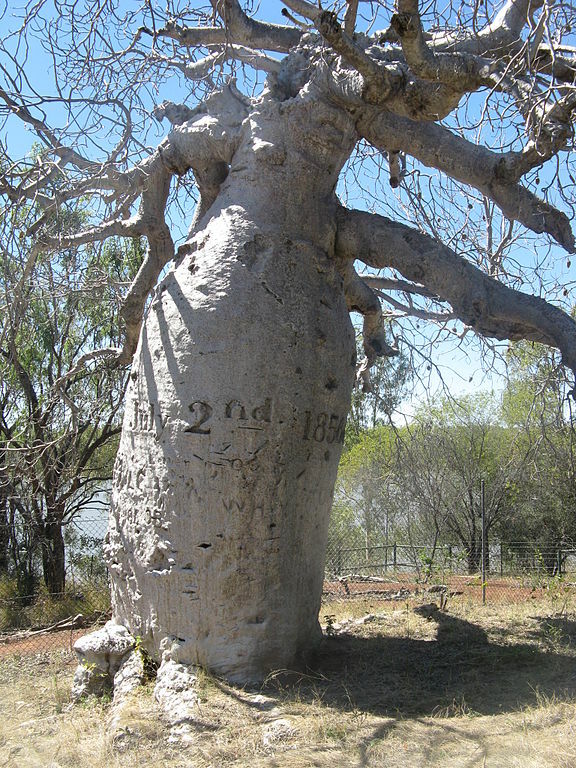 Prison tree, Wyndham (also called Hillgrove Lockup): about 30km south of Wyndham on King River Road is a large boab tree around 14m in circumference, used as an aboriginal lockup in the 1890s for prisoners being walked into Wyndham for sentencing. Estimated to be around 1500 years old. Can be inaccessible in the wet season due to flooding. 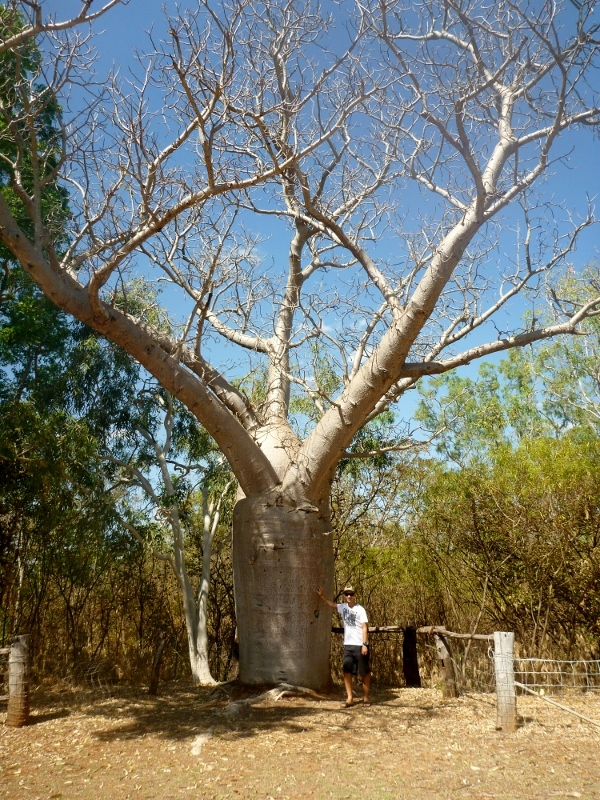 Gregory’s Tree, Timber Creek: this boab tree is located 15km northwest from present day Timber Creek in the Northern Territory, a couple of hundred km east of the WA border. It was at this location where Augustus Charles Gregory set up a base camp on July 2 1856 during an expedition to explore the region. He left an inscription on the tree to provide information in case his party became lost or missing. The tree is now a tourist attraction named after him. 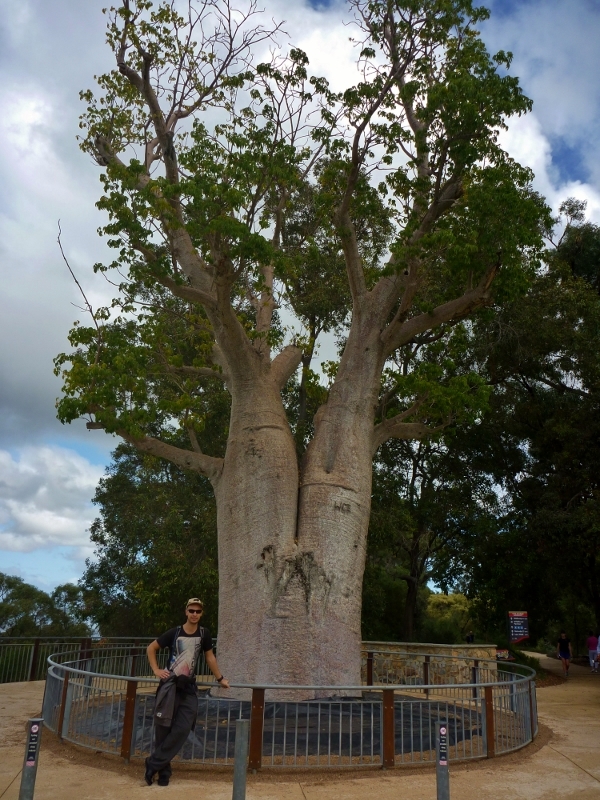 Also named after Gregory is the scientific name for the Australian boab species, Adansonia Gregorii. Mermaid Tree, Careening Bay: only accessible by boat or helicopter, this is a huge majestic tree located in an extremely remote area of the Kimberley, in the Prince Reagent River region. The bay was chosen as the place to beach and careen the cutter HMC Mermaid for repairs under the command of Captain Phillip Parker King (HMC stands for Her Majesty’s Cutter, a class of ship). Whilst beached, the carpenter inscribed “HMC Mermaid 1820” into the trunk of the tree which can still be seen today, almost 200 years later. King was exploring the region for any opportunities for development or trade and to investigate the possibility of a river reaching far inland into the continent. The tree was recorded as being diseased and deformed, owing to its unusual look which the Europeans weren’t familiar with. 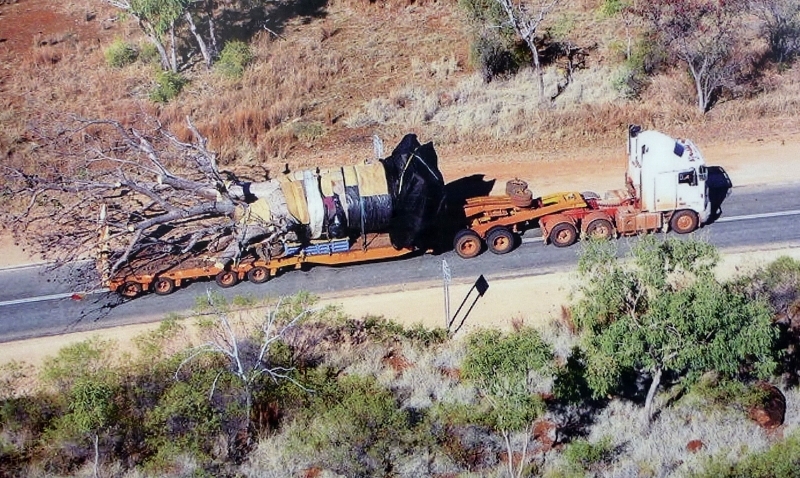 Gija Jumulu, Perth: transported 3,200km in July 2008 from Warmun in the Kimberley to Kings Park in Perth, this tree got in the way of work on the Great Northern Highway so became a candidate for relocation. The 5 day journey on the back of a truck is the longest land journey for a tree of this size in history. Weighing 36 tonnes, 14 metres high, branch span of 8 metres, trunk diameter of 2.5 metres and an estimated age of 750 years old. 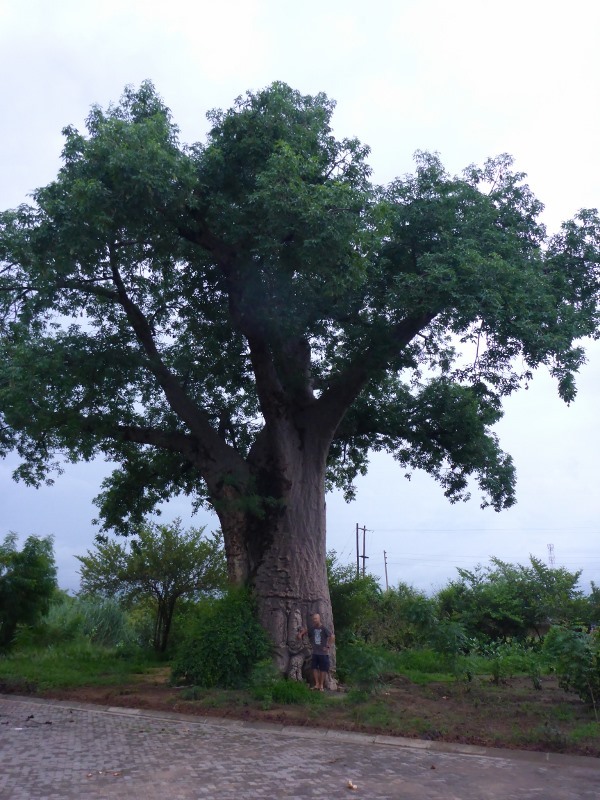 Sunland Baobab, South Africa: this tree is massive, dwarfing its Australian cousins. Its diameter is 10.64 meters and circumference is around 47 meters. The inside hollow has been made into a pub at the centre of a tourist resort. It could be up to 6000 years old although some sources indicate this is an exaggeration. In 2016 part of it collapsed. In 2017 there was a substantial collapse with most of the tree toppling over. Species Adansonia digitata. Glencoe Baobab, South Africa: this tree is of ridiculous proportions, 15.9 metres in diameter and almost 50 metres in circumference. It’s possibly the stoutest tree in the world (width to height ratio). Estimated to be several thousand years old. In 2009 the trunk split into two, which may end up killing the tree. Species Adansonia digitata.